I’ve seen Cookeville, Tennessee advertised on PBS several times during my sojourn at Sewanee, and yesterday we set out at 9:30 a.m. to see what all the hoorah was about. We traveled northeast through McMinnville and Sparta, Tennessee where nurseries abound on every other hill and arrived near lunchtime in this city that is about ten times larger than Sewanee. Cookeville touts itself as home of one of the finest universities in the country, according to brags about it in local brochures. Actually, the university was ranked #8 among outstanding universities of the South for two years by the U.S. News and World Report. However, the real draw for tourists is the historic downtown area where several galleries exhibit the work of some of Tennessee’s best artists. On Broad Street, where art is offered on several blocks, we climbed the stairs to a second-story gallery called The Afternoon Gallery and Studio, owned by Sandra Bos. 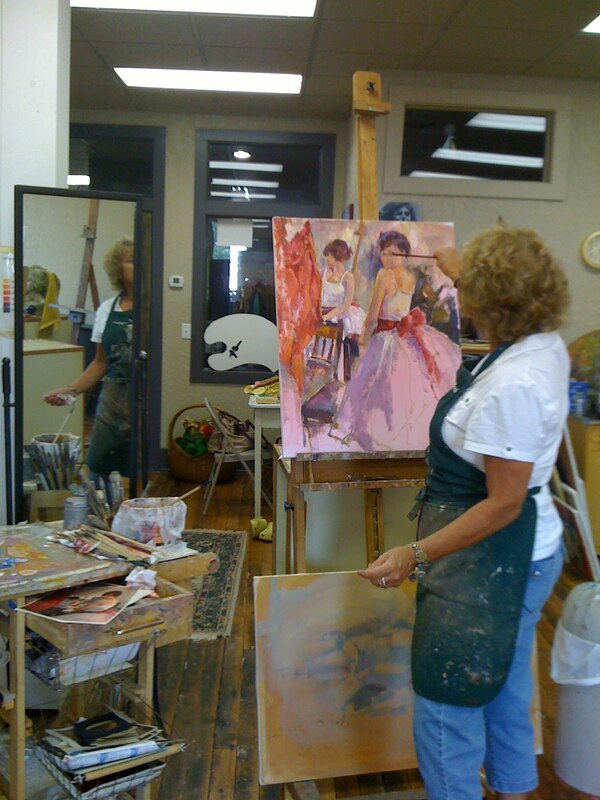 Sandra renders portraits, pet paintings, and “pieces of color,” as she calls her impressionistic work. Although we interrupted her work on a portrait in which the face hadn’t been completed, she welcomed us and we spent almost an hour chatting about art and writing. We discovered that she has a yen to write, and I’d like to be a painter. After talking at length about the writing process and the daily discipline required to produce a novel, I finally told her she’d get more satisfaction from her art and should follow that passion, rather than take up writing. Sandra has taught art 25 years and offers classes for teenagers and children, often displaying their work in the Afternoon Gallery. She says she teaches the real principles of art, “like how to see color and shape and value.” While we visited, Celtic music played in the background, and Sandra told us that she listens to selections from her library of CD’s while she paints. We described Phillip Glass’s music to her, and she got excited about adding a new performer who might inspire her and her students to paint bigger visions. We also discovered a mutual love of California. Sandra lived in Paradise, California near Lassen National Forest for many years before moving to Cookeville 14 years ago to be near her children. She laughed about being a “big fish in the small pond of Cookeville.” Her work gives added dimension to a forward-looking city that has been sponsoring art walks every year and encouraging artists to feature their work in a renovated downtown area on the west side of Cookeville. 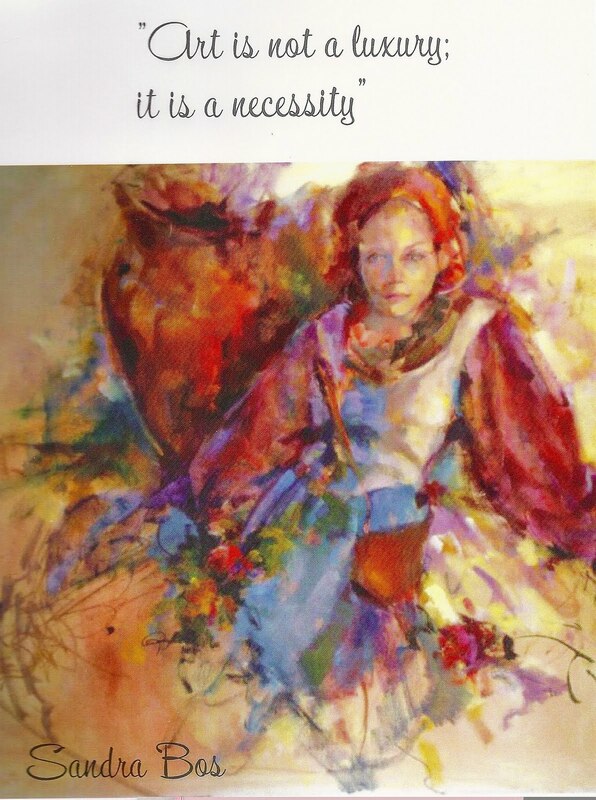 I bought a journal with a cover on which one of Sandra’s portraits appears, but I really coveted one of her impressionistic paintings, a scene of a vegetable garden in Italy. Sandra was worth the trek over to Cookeville on a humid, 90-degree day, and we plan to visit her again next year during cooler weather. Later, we backtracked Highway 40W and turned south on Hwy 56, searching for the Appalachian Center for Craft. We had some trepidation about crossing the Hurricane Bridge over Center Hill Lake because road workers were only allowing one car at a time to cross the corduroy tarmac of the bridge, and trucks weighing over 18 tons were stopped. I envisioned my blue Honda plunging into the lake, but we crossed successfully twice. We turned onto a hilly path bordered by oaks, sweet gum, maples, and other hardwoods into the forest surrounding the Appalachian Center for Craft. The Center, a satellite campus of Tennessee Technological University, is a rustic-looking complex of galleries, studios, and exhibits located on 500 wooded acres near Center Hill Lake. The school has 100 students who can obtain a BFA from TTU or a non-degree craft certificate in clay, fibers, glass, metals, and wood. In April, the school sponsors craft demonstrations and live music for visitors from throughout the country. 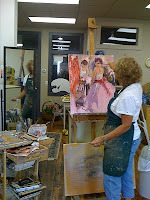 It’s an amazing center for studio workshops offered year-round. We were tempted to buy some of the pricey handmade items created by 100 regional artists, but our pocketbooks wouldn’t support a purchase. Just as we made our exit, a bus pulled up and unloaded an army of “Red Hats,” and we sped away before the red-hatted crowd of older women enveloped us. Of all the household tasks I dislike, vacuuming floors is at the top of the list. I’ve owned every type of vacuum known to clean – uprights, canisters, drag-alongs and push arounds, all of them with no get up and go unless you hurl them about and say nasty words when you’re untwisting the cord from around your ankles while moving them from room to room. Even the ones touted to clean the dust and dirt with the greatest amount of suction and cleaning power have been unable to improve my humor on VAC DAY every week. However, yesterday, the U.S. mail brought me a new vacuum – a strange-looking, saucer-shaped, refurbished robot vac–one that I’ve named Sweet Feet because she substitutes for my feet and back while I sit in a chair and watch her antics. Sweet Feet hums along cheerily and obsessively cleans under beds, tables, negotiates corners, patiently brushing one spot on the wood floor sometimes long enough to make me declare: “I know the floor isn’t that dirty.” To top it all, she speaks 16 languages including the English default. Every time I pick up Sweet Feet and move her to another site, she protests vociferously and her belly button turns a violent red color. Otherwise, her smiling face is green and she’s on go all the time. She’ll run at least twenty-five minutes before you have to charge her battery for another run. This morning I went into the dining room where she sleeps and all her lights were out; she was really asleep. 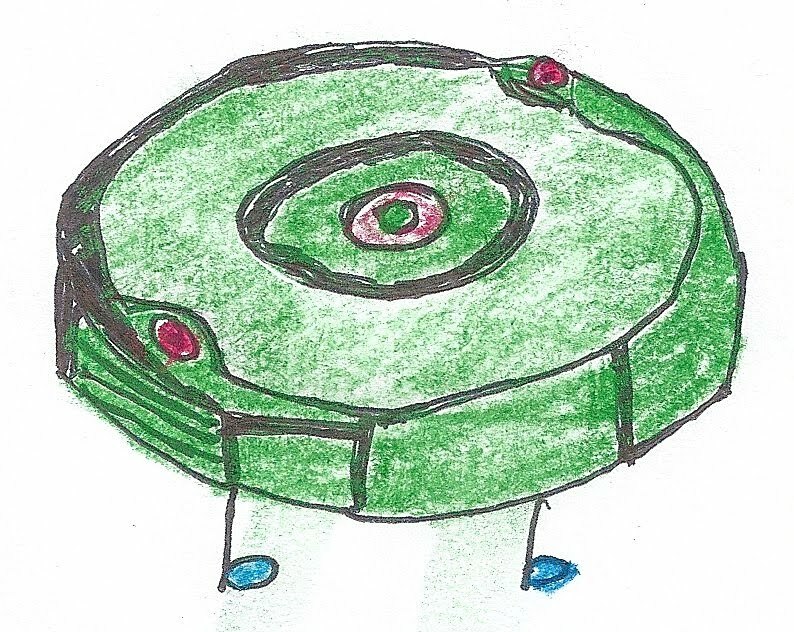 Her personality is such that if you awaken her suddenly by pressing her green belly button, she doesn’t scream at you. She’s quickly up and doing, scurrying under chair legs, racing up and down on the patterns of the Orientals, and if she senses dust on your clothes, you’d better get out of the way because she’ll immediately head for you. I do think that Sweet Feet has a bit of Obsessive Compulsive Disorder, however. She cleaned one rug yesterday until the fringes began to fray and started to chase me when I dared move her on to dustier territory. I’m not a lazy housekeeper but I have to admit that Sweet Feet outcleans me any day of the week, and all she requires is that you clean her brushes and empty out the five pounds of gunk she has gobbled up from your floors. Due to the evidence of all that gunk, she has destroyed my reputation as “Tidy Idy” that I’ve maintained amongst family members for nigh on fifty years. The skinny is that she has a sister robot who can mop floors, and I’m thinking about hiring her. There’s also another sister robot but she charges more per hour – her claim to household efficiency is that she fetches things for you. But I’m happy with Sweet Feet. Just watching her gobble up all that dust under the beds and zoom out with a smile on her face makes me wonder why I’ve put up with lug-about vacuum cleaners all these years. This morning I went to church and when I returned, she had cleaned three rooms without any supervision. I found her in the bathroom, sleeping beside the scales after all that output. I think the implication of parking herself beside the scales was that my house was in such dusty condition, she had lost weight from all the exertion. Cool mornings here at Sewanee have frequently been misty and have evoked thoughts about how much I like places overhung with mists. At Sewanee, I love the early morning mists hanging over the valley that I see through the windows behind the altar at St. Mary’s Convent chapel. I think of mists or fogs as veils, which when parted, offer endless discoveries. I remember the great mists in the Big Sur Valley and at Carmel, California, “vagrant wisps of luminous fog creeping like a live thing in and out of the canyons,” wrote Una Jeffers (wife of the poet Robinson Jeffers). The fog along the central and northern California coast is known as Tule fog and is often exceedingly dense in early morning, but I love the sight of water or mountain suddenly appearing through the mists. Then there is Louisiana, my second home, where on winter mornings during my drive to work (before retirement!) a heavy fog enveloped highway and the cane fields alongside it and hovered over the muddy Bayou Teche. This sight lent a little mystification to an otherwise monotonous drive to Lafayette, Louisiana, eighteen miles from New Iberia where, for twelve years, I worked in an office overlooking a fallow cane field. Folk tales about Louisiana mists and fogs abound, and in the early 19th century, when fogs were particularly heavy, newspapers often carried these tales. One story published by Edwin Davis in LOUISIANA, THE PELICAN STATE, features a group of fifty laborers who wielded spades, axes, and crowbars in an attempt to clear a path through a dense fog, and this bit of hyperbole ends on the note that blasting with gunpowder loosened the fog “a little.” This story appeared in the New Orleans Times Picayune, and a postscript to it revealed that some butchers at Slaughter House Point, who were unable to guide their pirogues through the fog, climbed up forty feet and discovered the air was thin enough to haul their beef up and carry it in wheelbarrows across the city atop the fog. You see, Texans aren’t the only ones who can concoct a tall tale! From the ridiculous to the sublime, I’ve often thought about the parallels between mist and mysticism – not only do the words have assonance, they both define a veiling of something that is beyond. In the case of early earthly morning mists, they veil a mountain or the sea, or just the road ahead. In the case of mystics, the mist is the veil between this world and its frenetic activity and the reality of God. 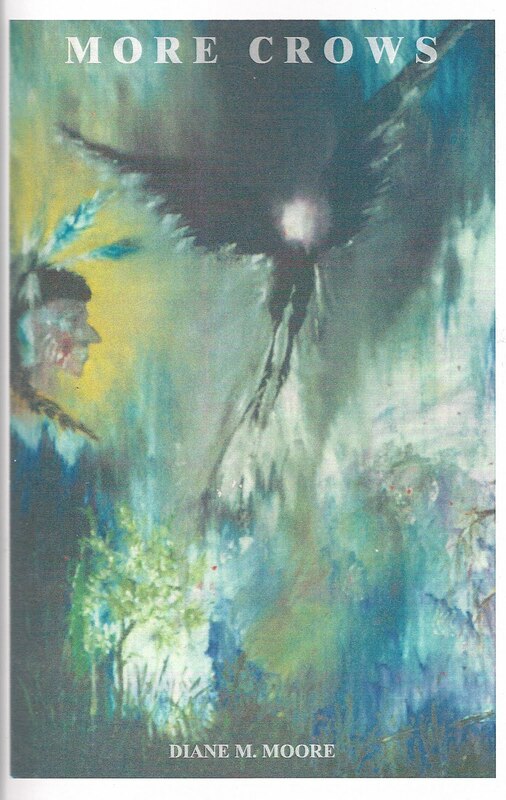 One of my favorite mystics, the Anglican writer, Evelyn Underhill , claims that everyone can be a practical mystic, and she describes five stages through which a person can pierce the mist, reach union with God and achieve enlightenment. Her explanation is succinct, but those who seek the mystical path may often feel that in this search for deeper spirituality which she describes, God is heavily veiled. Underhill advocates cleansing the doors of perception that are “hung with the cobwebs of thought: prejudice, cowardice, and sloth…” In the first step toward becoming a practical mystic, she talks about the process of awakening, which involves a bit of contemplation and bringing the mind into a consciousness of God, followed by purgation (awareness of one’s imperfections and finiteness), then illumination (a stage into which poets often enter when they are entertaining the Muse). This stage is followed by passage into the dark night of the soul, characterized by confusion, stagnation of the will, and, ultimately, surrender to the Divine Will. The fifth step is the final piercing of the veil in which union with the One reality, God, takes place. Those who may be totally “be-fogged” by now, take heart. There are less misty blogs to come! 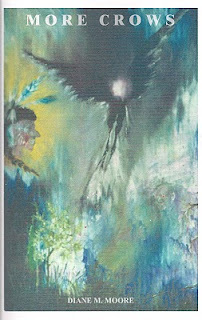 Note: Painting above is a "misty" version of my brother Paul's painting for the cover of FLOOD ON THE RIO TECHE. My newest book, CHANT OF DEATH, co-authored with Isabel Anders, has been on the market several weeks now, and some “would-be readers” have asked for a peek into its contents before ordering this mystery set in south Louisiana. I have often included excerpts to other books I’ve written, as well as poems taken from my poetry chapbooks, so I’ve decided to include an excerpt from Chapter I for those of you who want a “read” before buying CHANT OF DEATH. “As soon as Father Malachi opened the door from the sacristy and entered the chapel, he sensed sacrilege before he actually saw the wet pile of blackened wood ashes in the center of the altar. He was as shocked as he would have been had he come upon a cremated Jesus heaped in a mound on the fair linen cloth. The scent of burned wood overpowered the usual scent of candle wax and the astringent incense he had used at High Mass the day before. Who could have desecrated their sacred space in this manner? “He couldn’t help thinking: Hell has terrible grammar. And lousy decorum. Someone had been setting up an ‘alternative’ display on the altar, had burned holy symbols and heaped the offensive ash on the corporal during the night. Who had done this? One of the monks at his beloved St. Andrew’s Abbey? Not possible. One of the secular helpers or suppliers in their break baking operation? Possibly. Maybe the shabby, sullen ‘handyman’ who had come seeking work recently. He knew the sacristy had been locked the night before, as always, keeping the sacred vessels safe. How had the person gained entrance in order to take up the cards and do this? Well, that’s how CHANT OF DEATH begins, and you’ll have to order a copy to read further. When murder breaks out, Father Malachi finds his powers stretched to the limit in an effort to protect the innocent and identify the killer. At least five readers have suggested that CHANT is good movie material. Isabel and I certainly hope so! 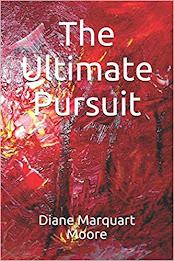 You can go online and google www.Pinyon-publishing.com to find details about how to order the book, or you can write directly to Pinyon Publishing, 23847 V66 Trail, Montrose, CO 81403 to obtain your copy or copies. 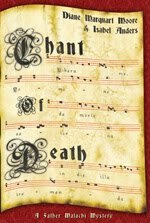 Also on the site are interviews in which Isabel and I participated, as well as a list of reviewers’ comments about CHANT OF DEATH. A few days of cool breezes and 60-degree temps in the mornings provide us “Sewaneeans” with hope for an early Fall. The weather actually reminds me of late September in New Iberia, Louisiana (my other home) when cool, dry air banishes the oppressive humidity and sugar cane farmers begin to talk about “grinding season.” September signals the time to cut cane and take it to the mill for grinding and processing into sugar. It’s also a time when the Louisiana Sugar Cane festival officially opens for a week of parades, fais-do-do (dancing in the streets at night), agricultural exhibits, art shows, and the crowning of King and Queen Sucrose. The Festival is now in its 69th year and brings visitors from all over the world who want a peek at outstanding parades in the tradition of Louisiana Mardi Gras. At the peak of festivities, a parade of Louisiana’s sugar belles, who have won the crown of “Parish Queen of Sugar,” stand atop floats that roll down Main Street during a two hour show of Louisiana beauties, and they’re accompanied by bands from high schools throughout the state. An earlier parade showcases children and teen-agers from all the dance studios in New Iberia. Cher, I’m talking about children from three to eighteen years of age! New Iberia is a dancing town, and parents enroll their daughters as soon as they learn to walk. My youngest daughter was four when she became a student at Miss Gail’s School of Dance! Following the Civil War, the most successful sugar planters were those who worked the plantations on a “share system,” and usually the planters manufactured, produced, and processed the cane at sugar houses or mills, several of which still operate in Iberia Parish today; e.g., the M.A. Patout and Son operation near Jeanerette, Louisiana. 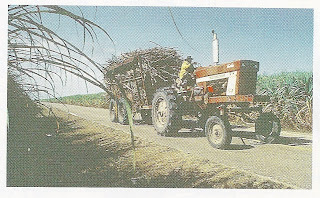 Recently, I read an article in the “Daily Iberian” about the destruction of expensive sugar farming equipment and cane stalks by teen-agers riding on three-wheelers who felt that the sugar cane fields were provided for their recreational use. Since sugar cane, like other major agricultural crops in our country, no longer brings in the grand profits it produced during the twentieth century, this kind of destruction interferes with waning agricultural income in this century. Perhaps someone should sponsor a three-wheeler parade during the Sugar Cane Festival activities, similar to the boat parade on the Teche that was added to the festivities a few years ago, so that the teen-agers could show off their vehicles. Or perhaps heavy fines should be imposed to deter them from entering the fields. During the grinding season just before the cane is cut, farmers already worry about threats of hurricanes that could level their crops, and they shouldn’t have to deal with teen-age pests who are out for a bad time. But that’s the down side of sugar cane and those pests won’t interfere with this year’s activities, which begin on September 23 and end on September 26, culminating with that colorful Sugar Queen parade I mentioned earlier. Photo taken from my article entitled “Touring the Teche Country,” in Acadiana Profile magazine, 1998. Courtesy of the Louisiana Office of Tourism. 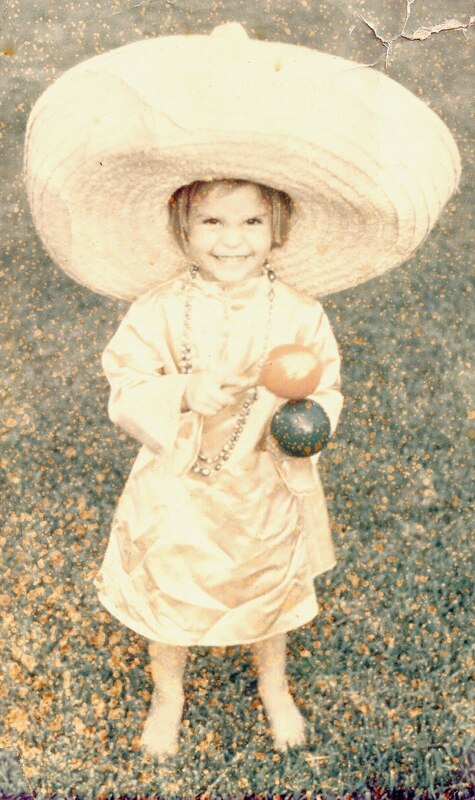 Also includes is a photo taken of my youngest daughter, Elizabeth, in costume, age three. Yesterday, as we drove down The Mountain, we came out of a curve leading to Cowan and passed a curious-looking, wide house with green metal roof and myriad short windows on the side facing the road. 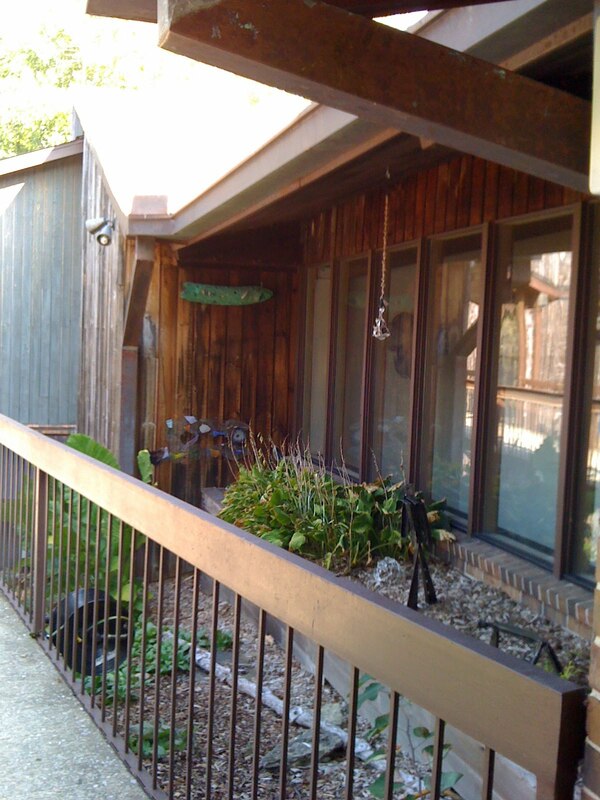 Before the house was a large pond, which has always been rather muddy and unruffled and resembles a giant mudhole. However, yesterday, we were surprised to see a huge flock of Canadian geese in the grass beside the pond, huddled together and cackling in their high-pitched voices. Since I often feel landlocked here on The Mountain, the sight of water and water birds pleased me. On the return trip from Winchester, we glimpsed the same flock, and I had hoped to see them lift off in their v-shaped migration position, but they were still aground, huddled so close together that I wondered if the 93-degree heat wouldn’t soon set their feathers afire. I think perhaps the geese were molting and am told that they particularly like golf courses where they tolerate humans and often nest there, as well as in city parks. Canadian geese have long black necks and a white cheek patch with a brownish body, and are lovely creatures. However, they don’t nest on my lawn, and if they did, I might have a less tolerant view of a gaggle of geese talking in their high-pitched voices. I’ve encountered geese in several parks and have been hissed at on several occasions. Since I am from Louisiana, I prefer herons, especially the Great Blue Heron which can often be seen standing at the edge of ponds and lakes, seeking fish and frogs. The Great Blue Heron is often mistaken for a sandhill crane, and among the many differences between the two is that the Great Blue Heron flies with its neck folded and not extended like a crane. I have seen the sandhill crane walking near Silver Lake in central Florida but haven’t sighted them in Louisiana. At times, we have been bird watching around Lake Martin with our friend Anne Simon of New Iberia, where we have seen herons, egrets, even the Roseate Spoonbill with its bright pink wings and orange tail. In Louisiana, the Roseate Spoonbill was a bird much sought after for its plumes in the early 19th century, until protective legislation was passed to deter plume hunters. Lake Martin is halfway between Breaux Bridge and St. Martinville, Louisiana, and the Nature Conservancy has a lease on the southern end of the lake, which is the site of a wading bird rookery. Cypress trees abound in murky water that is covered with duckweed. In late January and February, the Great Egrets return to the lake, and by April, their chicks have hatched. In March, the Roseate Spoonbill arrives and by May, spoonbill chicks have come into the world. June is the month for Little Blue Heron chicks. 'Come July, and all of the nesting birds have flown away. At Lake Martin, we always sight alligators nosing around in the lagoons, and once discovered a small bear on the banks of the lake. We knew that the mother bear was probably lurking nearby and scrambled back into the car. The Little Blue Heron also feeds near the shores of Lake Martin. She’s a smaller version of the Great Blue Heron, but she does a lot of strutting as she searches for insect larvae, and on the particular trip I mentioned above, I was inspired to write a poem about her that appears in my chapbook, MORE CROWS. 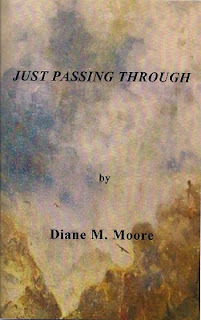 I have also written one about the Great Blue Heron that appears in PASSING THROUGH. great egrets and fine plumed spoonbills? hoping for minnows, the small man’s meal. is unabashed that her plumes have no value.